Episode 026 JOKE WRITING - Mark Normand: "Just keep going / You need the struggle" – Let's Talk About Sets! 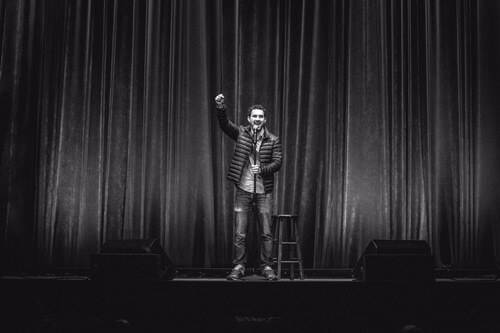 Episode 026 JOKE WRITING - Mark Normand: "Just keep going / You need the struggle"
The very accomplished, always funny “edgy joke slinger,” Mark Normand shares his process with us! Not only is he one of the most likable guys in comedy, he’s an unbelievably talented joke writer. This episode is packed to the GILLS with comedy craft gold. We kick it off with some Jerry Seinfeld, and then we get down into the molecules the jokes from three of our favorite Mark Normand bits. He talks about how to write an analogy that pops, how and why to keep going with a joke you believe in, gives a working explanation of rhythm in stand-up…and a helluva lot more! This episode is what “Let’s Talk About Sets!” is all about! Hell yeah! 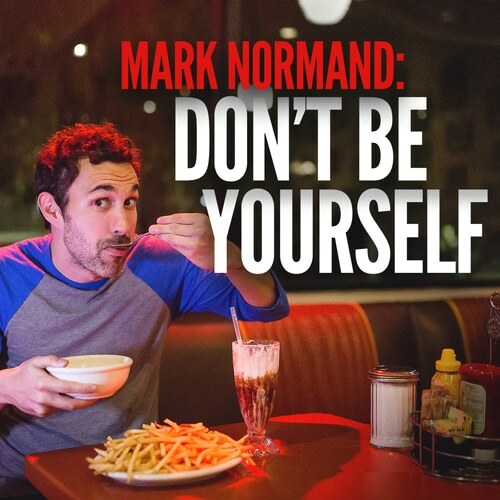 Mark Normand has done a One-Hour Comedy Central special “Don’t Be Yourself”, a Comedy Central HALF HOUR special, has appeared on TBS’s CONAN 5 times, Tonight Show with Jimmy Fallon, Late Show with Stephen Colbert, Showtime’s “Live at SXSW”, INSIDE AMY SCHUMER, TruTv, Best Week Ever, MTv, Last Comic Standing, @Midnight and released an album with Comedy Central records titled “Still Got It.” The list goes on and on. He’s the real deal, touring nationally and still chopping it up at the occasional open mic when he wants to work stuff out because he’s just that damn dedicated to the craft. And a huge thanks to to our guest, Mark Normand! Special thanks Jerry Seinfeld’s smug brilliance. And, as always, big thanks to Salt N’ Peppa. We think of you all the time. Do you think of us? We hope not. Even though our use is so damn fair.